Are you craving Cajun food? A catfish sandwich, which isn’t even blackened, doesn’t count. Nor does fake gumbo; everyone knows that okra is one of the soup’s main ingredients. We’re talking real Cajun food with green bell peppers and onions, cayenne pepper and garlic, smoked sausage and crawfish. Your mouth is watering already. You have to go deep into Acadiana to find real Cajun food. This is the area that Acadian-Creoles settled in the late-18th century after being expelled from Eastern Canada by the British. Though French-speaking, their culture—from their music to their food to their folk beliefs—was very different from the French, who originally claimed the area. They founded Vermilionville, later renamed Lafayette, in Southwest Louisiana in 1821. The region is still considered the center of Cajun culture. Youngsville is south of Lafayette. The small city is surrounded by sugarcane farms and old oak trees. It’s home to St. Anne Catholic Church, the oldest Catholic church in the area. Life revolves around family and religion, food and music. It’s also where you find the Louisiana Cajun Mansion Bed & Breakfast. 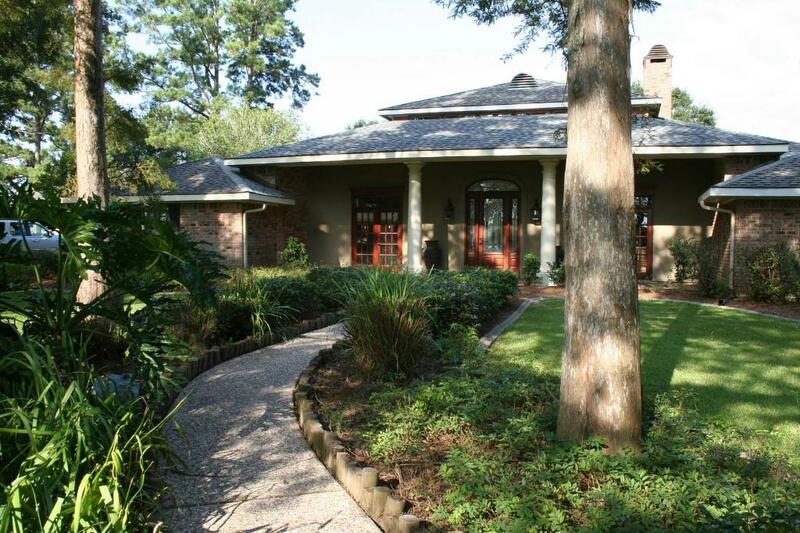 You’re usually not a bed and breakfast person, but this is truly the best way to immerse yourself in Cajun culture. You’re welcomed with red wine—French, of course—in a crystal decanter when you arrive in the great room. More beverages and pastries are set on the breakfast bar in the sun room. Plus homemade muffins, along with day-trip guides, are awaiting you in the Bayou Suite. You graciously accept a glass of wine, but the muffins will have to wait. You don’t want to ruin your dinner. You’re eating right outside tonight. A seven-course Cajun dinner is being prepared on the grill on the patio. When you go outside, you find a gorgeous backyard lined with cypress trees and blooming azalea bushes. The pool is calm, since the air is thick. While you can hear a small waterfall and zydeco music in the background. As for the food, it smells delicious. Crawfish, potatoes, onions, and corn are simmering for a real crawfish boil. A light roux, which includes okra, is being stirred for shrimp gumbo. Green trout is marinating in a homemade sauce. There’s a sweet-and-spicy coleslaw, a hearty jambalaya, and bread pudding with rum sauce, as well. You will never look at Cajun food the same way again.